Homebase and Argos owner blocks the approach - Sainsbury’s is now considering its next step. Sainsbury’s made a £1bn bid for Argos and Homebase owner Home Retail Group as it seeks to strengthen the company to challenge competitors like Amazon. The supermarket group stated that it made an approach in November, but was rejected in December. Sainsbury’s, that has a number of small Argos stores within its supermarkets, stated that it was considering what to do next. According to takeover rules, the retailer has until 5pm on 2 February to either withdraw or announce an intention to bid again. After the supermarket released a statement valuing the group at £1.1bn, shares in Home Retail Group rose to 139.3p – a 41% rise. Yet shares in Sainsbury’s fell by nearly 5% as investors believed that the supermarket would get distracted in the tough grocery market conditions. 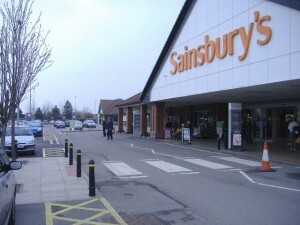 The Takeover Panel forced Sainsbury’s to release a statement after the rise in Home Retail Group’s share price. It stated that the merging of the two groups would be “an attractive proposition for the customers and shareholders of both companies, establishing a platform for long-term value creation”. It added that the groups had complementary offerings – they would be able to supply customers with the option to to pick up their items in store or get them delivered to their homes. Many believe that the main reason behind Sainsbury’s approach is Argos’ IT infrastructure and delivery network – this could give the supermarket the means to take on Amazon. Home Retail Group stated that it rejected the bid because it “undervalued Home Retail Group and its long-term prospects”.